As a service to Members, we have posted in the two links below the names of all ICE members who have died since 1 January 2016 and whose details are known by the Membership section of ICE as at February 2019. I first met Robert when he joined the Civil Engineers’ Club Committee over ten years ago. In the subsequent years he was a most loyal and supportive member of the committee and was always willing to help with anything. He also became the Club’s Vice Chairman in 2011. As Vice Chairman he continued to work untiringly for the Club. One year he helped me particularly by attending the Brunel Contract Bridge Trophy day at ICE and he was there from the start at 10.00am to the finish at 5.00pm when he presented the prizes to the winning team. Not to be short-changed, he stayed to the evening meal. He was also most helpful when through his Rowing links he enabled the Club’s 30th anniversary in 2009 to be celebrated at the London Rowing Club in Putney. In later years Robert was a regular attender at One Great George Street where he was to be seen on most days. Unfortunately he died suddenly in August 2014 from a heart attack. He was 82 years old. There was a most moving funeral service for him last September at St George’s Church, Hanover Square, London which many of his family and friends attended, including most of the Club’s Committee members. On behalf of the Civil Engineers’ Club I wish to say that we are most grateful for all the work which Robert did for us and for his devotion to Civil Engineering. We will be the poorer without him. Robert’s career is summarised below based on information which has been supplied to me most kindly by his surviving son Jeremy. 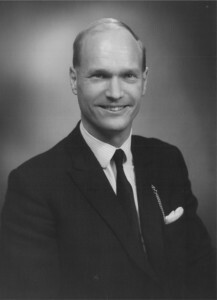 Robert Freer was a Civil Engineer who worked mainly on energy and maritime projects, and especially at the interface between research and practice. He was involved in the design and construction of nuclear, hydro-electric, diesel, and gas turbine power stations in this country and overseas (including Dounreay, Winfrith, Kariba and Aswan), and on the development of a prototype wind energy generator and a wave energy device. Robert was born in Manchester on 3 February 1932. His family moved to London in 1934 where they settled in Ealing, and Robert went on to attend University College School from 1942 – 1945. After WWII the family moved again to Ringwould, Kent where Robert attended Dover Grammar School. In 1949 they moved to Melbourne in Australia, although Robert returned to the UK with his parents and one of his two brothers in 1953. Robert began his interest in engineering whilst in Melbourne where he gained BSc Engineering from Melbourne University. This was followed by a Diploma in Hydroelectric Power from Imperial College, London when he returned to the UK. Robert’s career began in Scotland at Sir William Halcrow & Partners where he was based in the hydro-electric department. His time was split between on-site construction at Invergarry, and time in the head office where he carried out design studies for hydroelectric schemes in Scotland and overseas. Robert received the Miller Prize from the Institution of Civil Engineers for his technical paper on Scottish hydro power whilst working here. Robert went on to work at another Scottish company, the UK Atomic Energy Authority, before moving back to London in the 1960s. His first job there was at Sir Alexander Gibb & Partners, where he carried out studies for hydroelectric power stations in Iran and East Africa. He also designed a 24 MW diesel power station for a Ballistic Missile Early Warning System (BMEWS) radar installation in Yorkshire. From there, Robert joined Mouchel & Partners as resident engineer in 1963, and in 1966 he moved again to the British Aluminium Company, London, where he was responsible for technical advice on the operation of the hydroelectric power stations for the aluminium smelter works at Fort William and Kinlochleven. Robert also prepared detailed proposals for the redevelopment of a run of river hydroelectric power stations on River Otra in Norway, and for the operation of a diesel power station at the Bauxite mine in Ghana. In the 1970s, Robert relocated to Glasgow where he worked at Babtie Shaw & Morton. Robert took on the role of Team Leader for an innovative design study for an array of offshore wind turbines connected to the National Grid. A paper on this work was presented to the DTI and to the International Wind Energy conference in Copenhagen in 1980. Robert was then seconded to Edinburgh University under an Energy Technology Support Unit (ETSU) contract to work on the engineering development of the wave energy device using Salter’s duck, until the programme was closed. In 1982, Robert returned to London to work at the Sand and Gravel Association as a technical adviser to its members. This was followed, from 1987–1991, by a period at the Construction Industry Research and Information Association (CIRIA), where Robert managed a series of research projects. This included a project on energy research, and a publication on the maintenance and inspection of concrete dams. In 1992, Robert joined the Institution of Civil Engineers as Technical Adviser. He was a member of the ICE Energy Board, and secretary of the Reservoirs Committee, responsible for the examination of hydro-electric engineers seeking appointment as dam inspectors. Robert was also an ICE representative on the Engineering Council’s Vision 2020 report on energy 1997–1999, to which he contributed sections on hydro power, and an ICE representative on the Parliamentary Group for Energy Studies. In this capacity, he was responsible for promoting and setting up the Joint Energy Forum to bring together the energy interests of the Institutions of Civil, Mechanical, Electrical and Chemical Engineers and the Institute of Energy with the objective of exercising greater political weight in discussions with government and the civil service. Robert was also responsible for making responses on behalf of the ICE energy board to government consultation and discussion documents, including consultations on embedded generation, stability of the Grid system, the Performance and Innovation Unit (PIU) energy review, and a report to the House of Commons Select Committee on Wave Energy. Robert attended energy conferences in China, Lithuania, Norway, Croatia, Portugal, Spain, Finland, Sweden, Austria, and Switzerland, and presented papers at many of these conferences on hydroelectric power and the connection of renewable energy to grid systems. Robert’s publications include The Three Gorges Project on the Yangtze River in China and papers on the electrical energy supply in Lithuania after Communism, and on the use of renewables in global climate change. He was awarded the George Stephenson medal from the Institution of Civil Engineers in 2002 for The Three Gorges Project paper. From 1995, Robert joined Reed Publishing and Wilmington Press as part-time editorial adviser on energy matters. From 2000 until his death, Robert sat on committees, boards, and panels at the Institution of Civil Engineers. He also became a member of the Worshipful Company of Engineers in 2008. Robert died from a sudden heart attack on 11 August 2014. He had been discharged from hospital a few days earlier following a minor fall at home, and was recuperating from this when he died.